Apparently, Street Fighter IV was so pirated that Capcom doesn't feel comfortable releasing the next version for the PC. Sorry, PC gamers, it looks like you're going to have to play Super Street Fighter IV Arcade Edition on something other than your computers. Capcom has revealed that it won't be putting the game out on computers because of (fairly legitimate) concerns about user piracy. 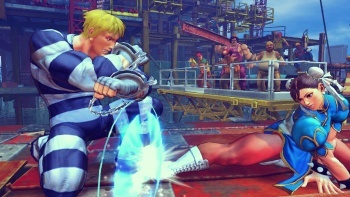 Producer Yoshinori Ono, in an interview with 4Gamer.net, explained that while Street Fighter IV's sales were strong on the PC, the platform was also "number one in piracy." Ono also explained that the piracy rate helped the game earn a high profile with PC gamers. However, in spite of this, Capcom needs to protect the the Street Fighter IV IP, which means the company feels that it can't let the game be considered "free" on any platform. Ono did reveal that Capcom might revisit the possibility of releasing the game for PCs, provided it can come up with a "powerful copy protection solution." I understand where Capcom is coming from, but I'm not sure this is the best solution. However, If the only option to play the game on PC is to use some ham-fisted DRM software, perhaps it's for the best if the game just doesn't come out on that platform.